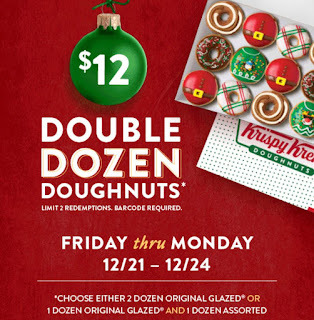 Krispy Kreme Coupon: 2 Dozen Donuts Only $12. Valid Friday 12/21 Through Monday 12/24. Choose 2 Dozen Glazed or 1 Dozen Assorted and 1 Dozen Glazed. Get your coupon below!